Pauly Shore's mom, Mitzy (Jew. You have to be a Jew if your name is Mitzy.) ran The Comedy Store in Los Angeles. 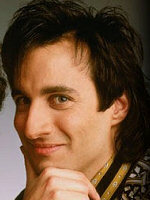 So Pauly grew up some of the greatest names in comedy, both Jew and gentile. George Carlin. John Belushi. 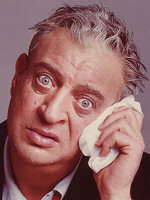 Rodney Dangerfield. Richard Pryor. David Letterman. Sam Kinison. 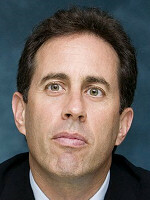 Jerry Seinfeld. Eddie Murphy. Etc. Etc. Etc. So one would think that being around such legends would, once Pauly himself tried a hand at comedy, give him a head start. Well, one would think wrong. Thankfully, Pauly is now washed up, reduced to appearing on reality shows. 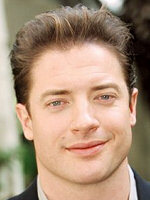 But one still remembers the early 90s, when his cries of "Hey, Buddy" shrieked from TV and movie screens. Seriously... How did he get to be that bad? 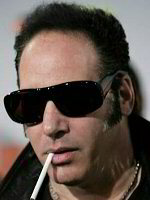 Then again, also appearing at The Comedy Store: Andrew Dice Clay. And Gallagher.